Caveat princeps: Let the leader beware. Beware. Be aware. Be wary. to touch a “marginalized” person to show your desire to welcome them . . .
Stop. You don’t have that right or duty – even if you intend it as a gift, a display of affection, etc. Because none of these persons are objects. They are subjects. Each has their own thoughts, feelings, families, attitudes and bodies, in which these other aspects are all, yes, em-bodied. We are learning together the changing context of this radical rule of respect. My wife is learning it, because she loves, in my word, to familiarly “whack” someone on the shoulder, to challenge them or buck them up. I’m learning it – painfully – when in my first year at Cal I got hauled in by two deans, because I had (in my view) tapped a young woman while she felt it was, or was on the verge of, assault. I had touched her on the shoulder with the back of my hand, while verbally encouraging her to join the cluster of students working together at the whiteboard. The administrators invited me in, “investigating,” and after my initial petulance and righteous indignation, I could see the point they were unequivocally clear about: a student’s safety mattered, and the student’s perception, not my intention, controlled the case. Now, as leaders, let’s not miss something here. Context, as always, matters. Biden should quit joking about this, because there is an important principle of human respect in play, and he might be more sensitive to that. And …. People talk about Biden as “gregarious” or “touchy-feely,” or my favorite: “a tactile politician.” He is being characterized as at best quaint, likely just weird, and at worst creepy. I beg to differ. In general, and in the right context, his characteristically extraverted feeling behaviors aren’t bad or even neutral. They represent one of animals’ and human animals’ most virtuous characteristics. For every woman who felt uncomfortable about his kiss on the back of her head, I suspect there have been hundreds if not thousands who have been uplifted by “Joe,” the regular guy’s innocent social-emotional connecting. 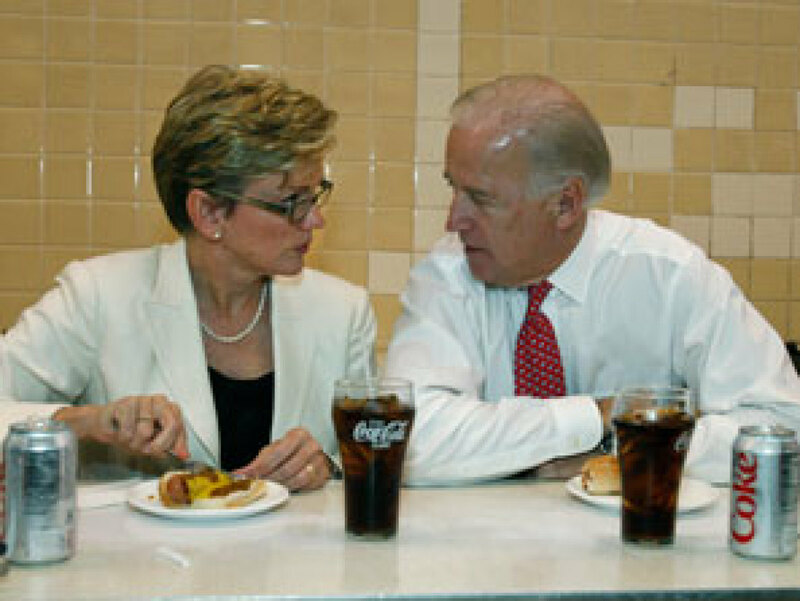 I’m “sidin’ with Biden,”4 as I’ve titled this blog, because I imagine that some of his meaningful “touching” also comes from the fact that he lost essential physical touch when his wife died in a car crash, and again when his son Beau died of cancer. As a human, you miss that TOUCH. Perhaps some of Biden’s touching comes from the remembrance of his own father’s hand on his shoulder. How many of us have felt the power of that gesture by a parent, teacher, or coach? He’s a physical guy. When he got beat up as a kid, he says his mom told him to go out on the street and bloody his aggressor’s nose. Leading with our best selves! 1 Dacher Keltner of UC Berkeley pioneers research on human touch. Here’s a link to a fascinating 7-minute video in which he highlights research studies on touch. 3 Frans de Waal the primatologist, has a new book called Mama’s Last Hug, and I can hardly put this book down, as he challenges what we think about emotion and body, with both human and primate examples. 4 I have other friends who are like Biden – men and women who are physically demonstrative. Occasionally, there is a “boundary issue,” but so often, when my friend John Gallo hugs someone to console, or kisses a friend – male or female – as his Italian father would kiss him – I see joy spread with the touch. As for Biden, I’m admittedly partial. My wife was helping him in debate prep back in 2008, and when he heard it was our child’s 18th birthday, he insisted on getting on the phone to cheer him on. His demonstrative action was so “touching” that it not only uplifted Connor, but our whole family.